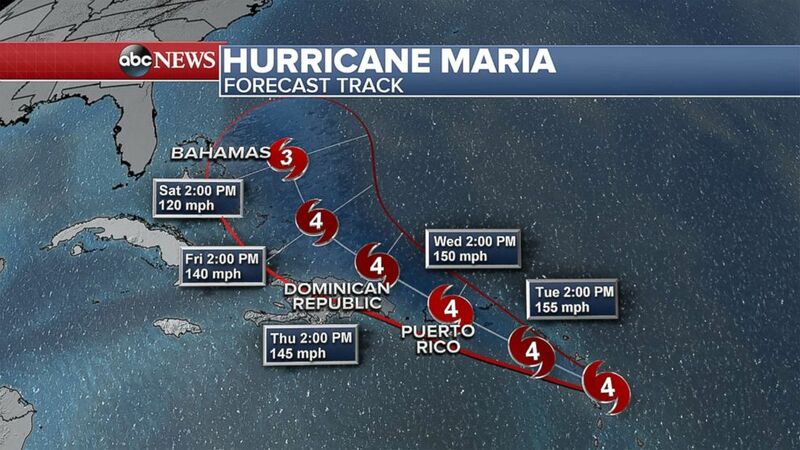 Maria is expected to stay away from the U.S. mainland. (ABC News) The forecast track for Hurricane Maria Sept. 18, 2017. (Jonathan Drake/Reuters) The Army's 602nd Area Support Medical Company boards the U.S.S. 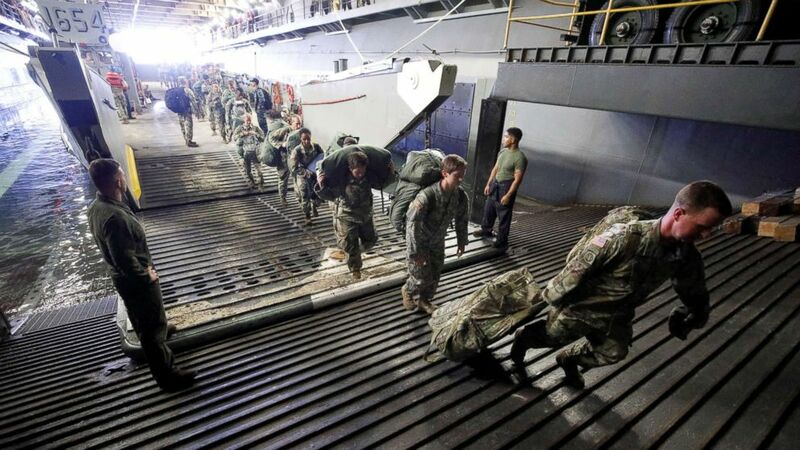 Kearsarge aircraft carrier from a Navy landing craft during their evacuation from the U.S. Virgin Islands in advance of Hurricane Maria, Sept. 17, 2017. 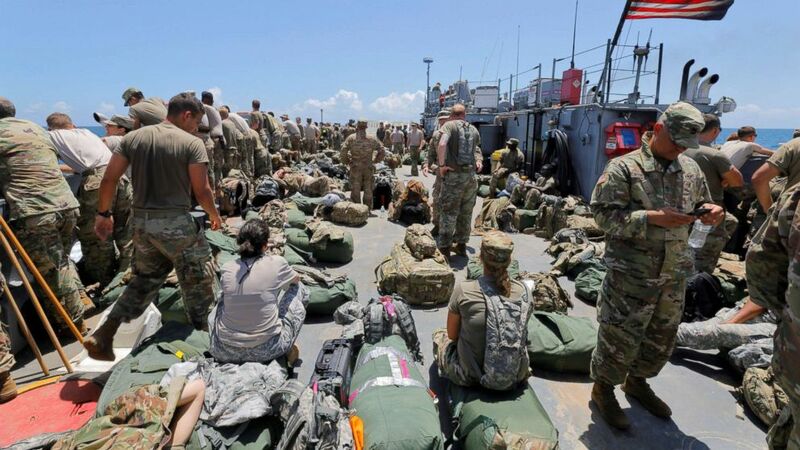 (Jonathan Drake/Reuters) The deck of a U.S. Navy landing craft is crowded with Army soldiers and their belongings as they are evacuated in advance of Hurricane Maria, off St. Thomas shore, U.S. Virgin Islands, Sept. 17, 2017.